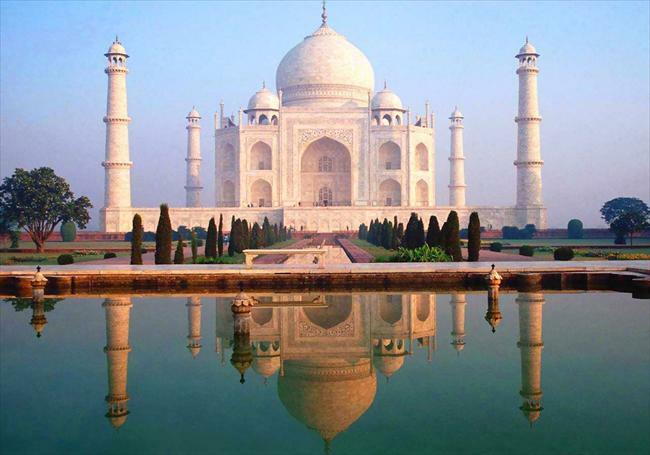 This morning after breakfast you will be transferred to New Delhi railway station to board the train to Agra. On arrival at Agra railways station, our representative will meet you to pick you up and transfer to your hotel. This afternoon you will visit the Agra fort, built by the great Emperor Akbar, and the famous Taj Mahal-the symbol of love, built by Emperor Shah Jahan in memory of his wife Mumtaz Mahal. By evening return to your hotel for overnight. Stay overnight at hotel in Agra. Note: The Taj Mahal Remain Closed on Every Friday. The Taj Mahal Visiting Hour from Sunrise to Sunset. Agra to Fatehpur Sikri & Evening Train to Jaipur This morning after breakfast excursion to Fatehpur Sikri, the deserted red sandstone city built by the Mughal Emperor Akbar. Visit the Palace Complex, Buland Darwaja and the Dargah of Sheikh Salim Chisti. This afternoon Return to Agra and transfer to Agra Railway Station to board the train to Jaipur. On arrival at Jaipur railways station, our representative will meet you to pick you up and transfer to your hotel. Stay overnight at hotel in Jaipur. Today you will be transferred to Jaipur railway station to board the train to Jaisalmer. Overnight in Train. * Train Tickets, Delhi to Agra, Agra to Jaipur & Jaipur to Jaisalmer & Jaisalmer to Delhi in AC Chair Car or 3AC.